From banks and grocery stores to schools and tourist sites, most establishments and services are closed on May first, including the world famous Louvre museum. Find out why and what to expect on this day. Is everything closed on May 1st? Mais oui mes amis! 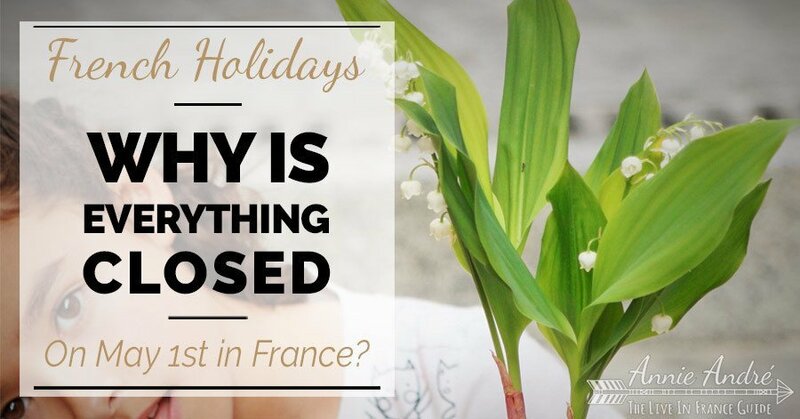 Pretty much everything is closed on May 1st in France. Almost all museums will be closed in France including the Louvre. There is usually no public transportation in Lyon, Montpellier, Marseille, Toulouse, Bordeaux, etc. and no public transportation in smaller French cities either. The exception is Paris. In Paris, buses, metros, trams and RER trains may run but at a much lower frequency. Most food stores will be closed or have reduced hours. There may be exceptions depending on the city or town. Most retail shops will be closed. Many restaurants will be closed, especially outside of Paris. Why May might be the worst month of the year to visit France! I’ll never forget our first May in France. I walked to “Intermache”, the food store closest to our home to pick up a few supplies but when I walked up to the front door, the automatic doors didn’t open. On the walk back home, I noticed something else unusual. There were random people on street corners selling a small plant with large green leaves and fragrant white flowers shaped like tiny bells. I didn’t know it at the time but the two events, 1) the closed food store and 2) people selling flowers on street corners were actually two different things being celebrated on the same day. 1) Labour day and 2) May Day. Let’s take a closer look at these two celebrations and how they are celebrated in France. Called “La Fête du travail “in French. 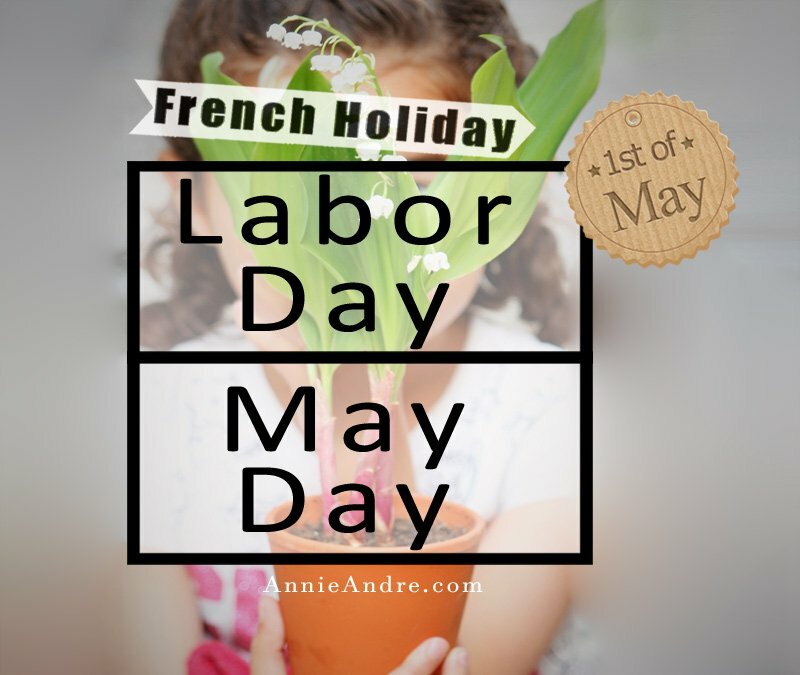 The first holiday celebrated on May first in France is labour day, also known as International workers day. Although it’s also celebrated in many other countries around the world, it’s not always celebrated on the same day. For example, Labour day in France, Bolivia and India is celebrated on the 1st of May but In the US and Canada, it’s celebrated on the 1st Monday of September. Labour day is a public holiday in France and is the only day of the year where workers must all legally be given a paid day off. As a result, most businesses, banks and services are closed including many tourist sites like the Louvre. The exception is professions where work can’t be interrupted, such as public transportation and hospitals. If you live in a large(ish) city in France, you might see demonstrations and marches organized by trade unions in support of defending workers’ rights. Other than that don’t expect much fun fanfare or fireworks to celebrate labour day. 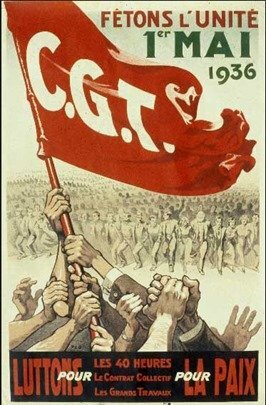 Want to learn more about International Workers Day in France? There is a second tradition in France that is also celebrated on May 1st and it’s called “La Fête du Muguet” which literally means “The lily of the valley flower celebration”. 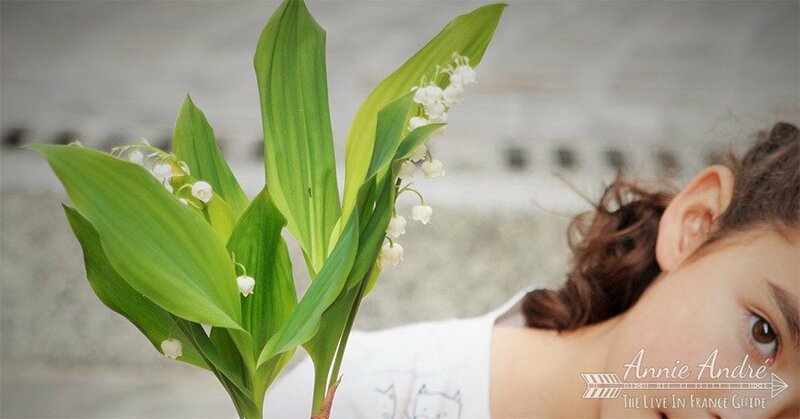 Lily of the Valley is a plant with tiny bell-shaped flowers. In Anglo Saxon countries, this day is known as May Day. Although many countries celebrate May Day, no other country celebrates it quite the same way as the French. The English have the May Pole but In France, it’s customary to give those you love a Lily-of-the-Valley-Flower (Les Muguets), hence the name “La Fête du Muguet”. Giving someone a sprig, bouquet or plant of lily of the valley is a gesture of friendship and good luck in celebration of spring. Traditions around the Lily of the Valley flower can be traced back to the Celts, then to the Renaissance period before finally reaching France in the mid-1500’s. The most widespread story is that in 1560, while a young King Charles IX of France and his mother Catherine de Medici visited the Dauphine, a Knight named Louis de Girard de Maisonforte gave the king a sprig of lily of the valley flower sprig from his garden. The king was so enamoured by this gesture that he continued the tradition by giving each of his ladies of court a sprig of lily of the valley flower each year. Rumour has it that he once said, « Qu’il en soit fait Ainsi chaque année » which means “let it be so every year”. (source). 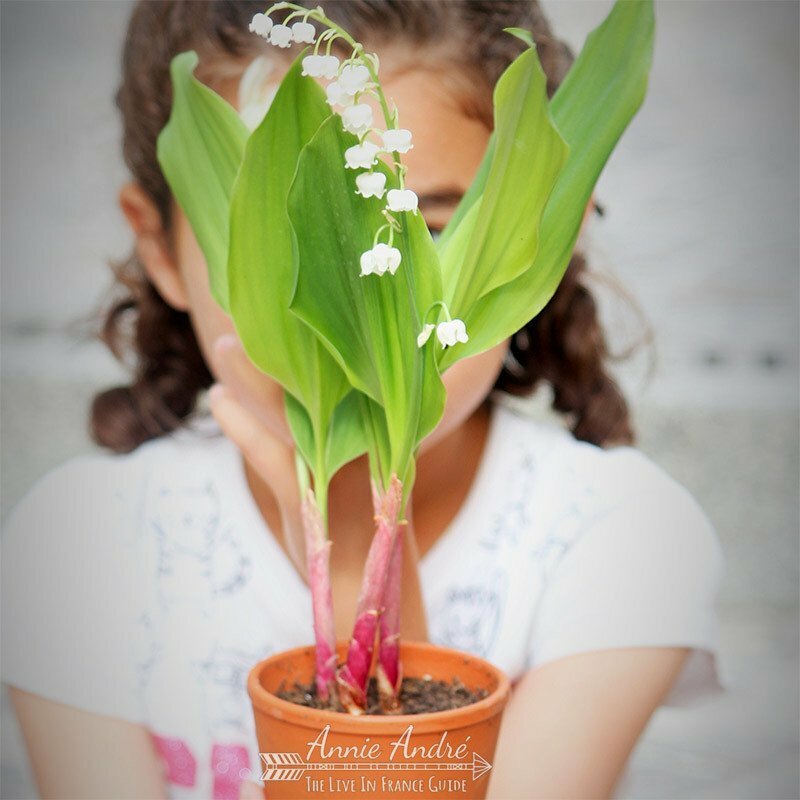 Today, the tradition of giving Lily of the valley flower has continued throughout France. Some people offer a single rose on May day, like my friend Franck who gave me, his wife and several other women in our circle of friends a single rose. Merci Franck, c’etait très gentil! If you’re ever in France on May Day/labour day, plan on a day of relaxing and lounging around. Make sure you have food for the day in case the food stores and restaurants around you are closed. 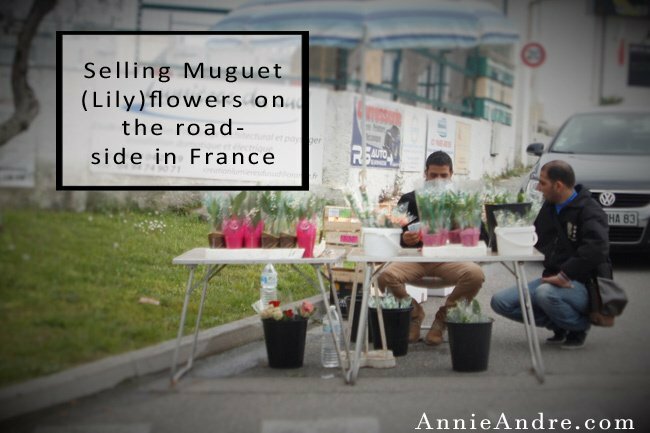 Don’t forget to buy some Lily of the valley flowers at one of the countless flower stands that pop up overnight on street corners around France. It’s the one day of the year when the government allows anyone to sell flowers on the streets without a license and tax-free. For you superstitious types, if you offer a sprig of Lily of the valley flowers with 13 bells, it’s supposed to bring you extra good luck.